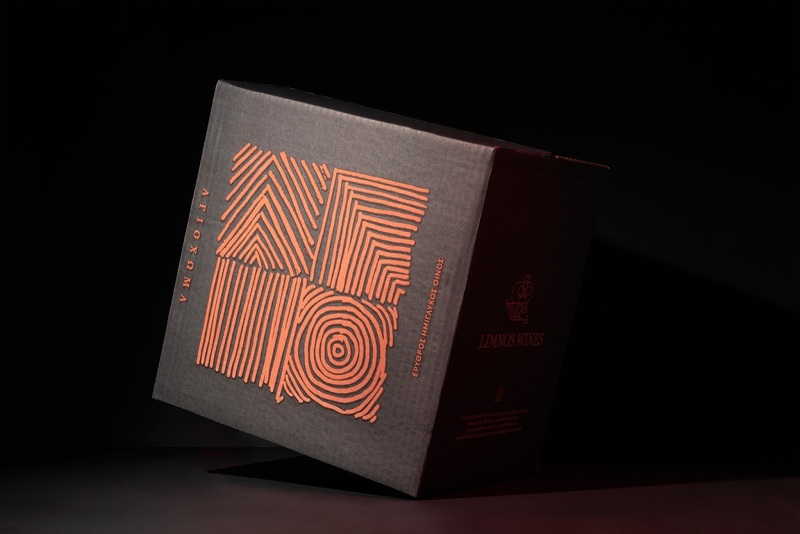 Naming and label design for the red semi-sweet wine of the Limnio variety of Limnos cooperative. 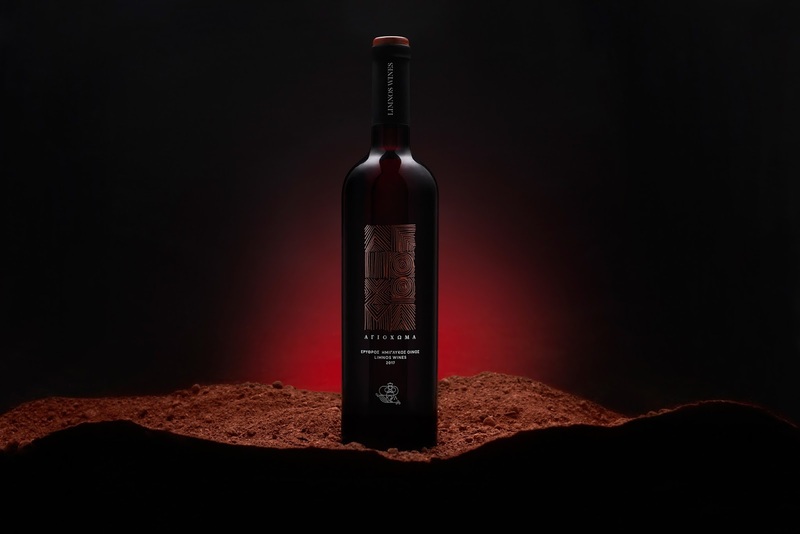 The land of Limnos has an extremely fertile soil, history refers to its mud as therapeutic with healing capabilities. 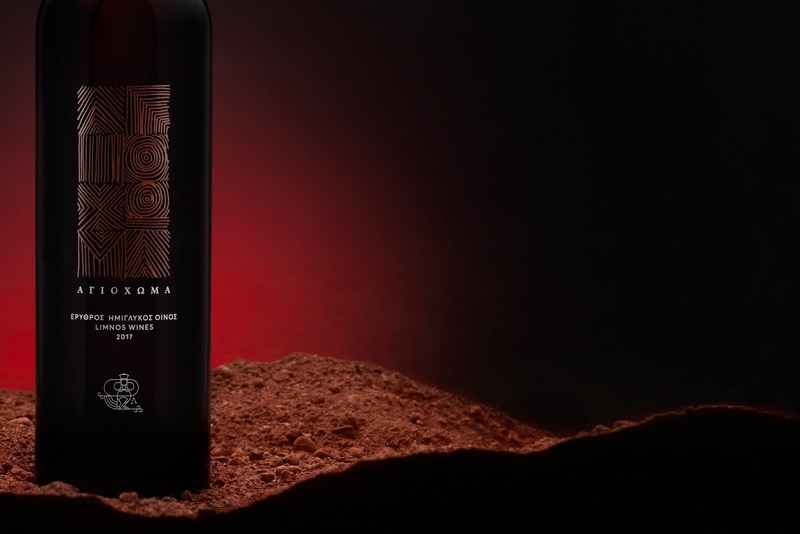 This uniqueness has led us to name our wine ‘Agiohoma’ (Greek word for sacred soil). 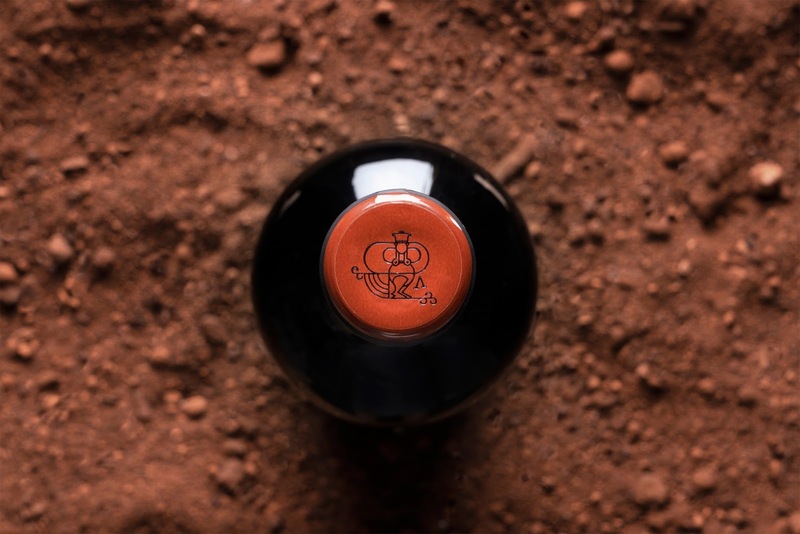 The design was based on a visual composition where the capital letters of the name are formed in its soil, emphasising the wines’ origin. 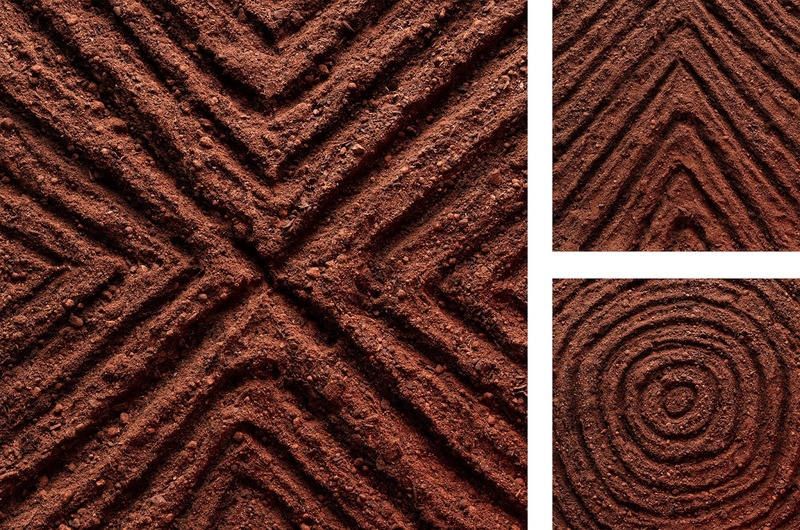 The nuance of red was selected as a reference to the color of the soil, expressing the "sincerity" of its content.